This miracle of recorder technology only measures 35 x 17 x 12 mm and this in the stereo version. 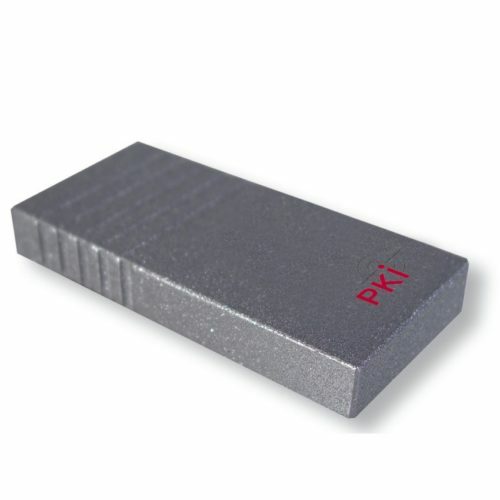 The PKI 2400 stores extremely high-quality stereo recordings with two external microphones on the internal flash memory. This voice recorder is thus a decisive step ahead of most devices working in mono. Nevertheless, the PKI 2400 has a very low current consumption and a long recording capacity of up to 1200 hours given a sampling rate of 8 kHz and 2 bit ADPCM compression. The external sensitive microphones included in the scope of supply are characterized by a wide frequency range (100 – 10,000 Hz) and high dynamics. The two recording channels also offer the possibility to filter out background noise. Our digital noise filter system PKI 2500 is especially suitable for this purpose.